This year, I’ve been doing a lot of work on personal development and self improvement. One of the best things I’ve done is continually invest in books that help me grow both personally and in business. I read every day, usually twice a day, when I wake up and before I go to bed, but at least once in the morning. Reading personal development books is one of the best ways to grow and better yourself and I’m already seeing the difference they’re making in my life. 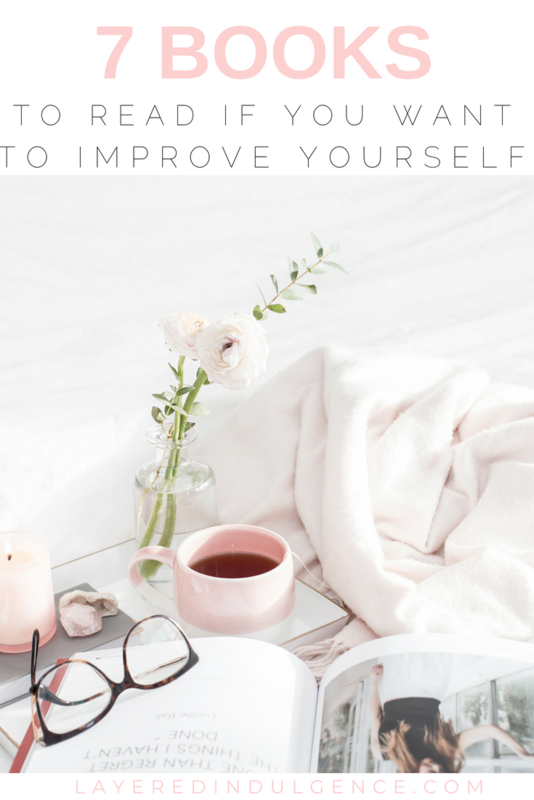 The important thing is that you implement the tips from the self improvement books. There’s no use in reading a book and not implementing at least SOME of what you learned, if not the entire system. For example, I read the miracle morning and love it and now I do my own miracle morning every day, but I’ve made it my own, keeping some of Hal’s steps and adding in my own. Not every system is going to fit into your life, but you have to be able to take the things that will fit and make them work for you! I rounded up some of the best books for personal development. Some I’ve read and some are next up on my must-read list! 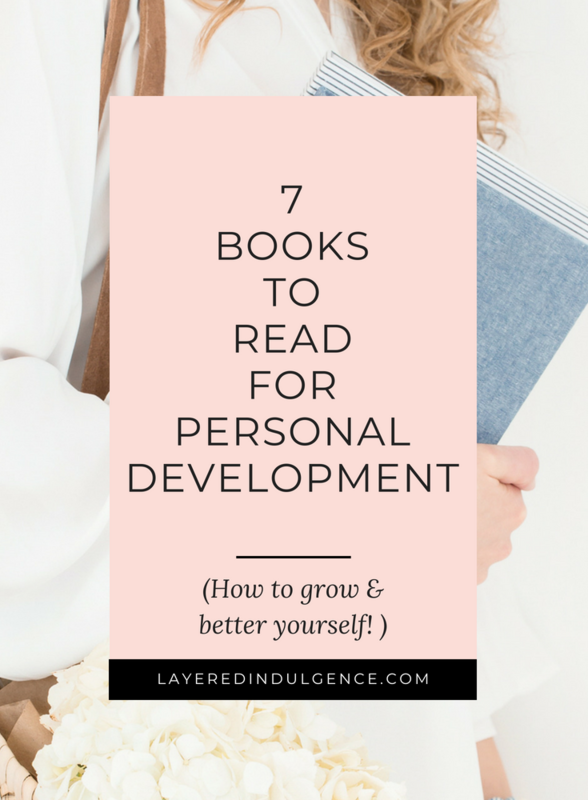 If you’re interested in personal growth and bettering yourself, here are 7 books to read! I seriously can’t stop talking about this book…I think everyone needs to read it! 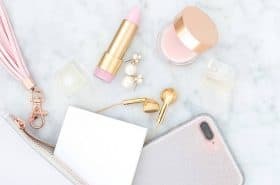 It explains how little things you can do every day (such as reading 10 pages of a book, eating healthy, and listening to a podcast instead of music) can give you the slight edge over those who don’t do these things. These things are all really easy to do, but are also really easy (if not easier) not to do. We all live much of our lives on the same plane, but at one point the people with the slight edge skyrocket to success (whether it be in their job, their fitness, their relationships, etc.) and those without the slight edge plummet, and it’s really hard (if not impossible) for them to catch up. It’s an enlightening concept and one that I think everybody should know about. I read this book about a month ago and have been implementing the Miracle Morning ever since. It’s essentially 6 things to do when you wake up every morning before you start your day from mediation to affirmations to exercise. 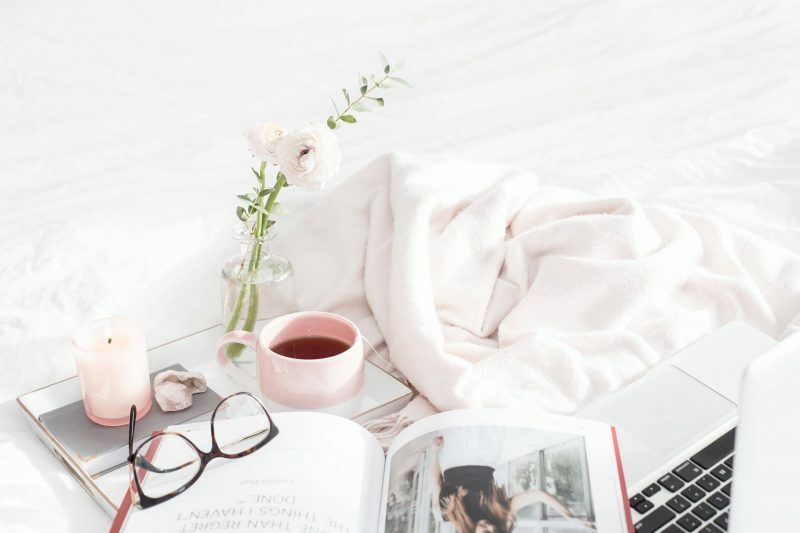 You wake up an hour earlier than you usually do to do these 6 things and it can totally change your day (and your life!). I’ve noticed I have a lot more clarity, am more productive and better things are coming my way in all areas of my life. And just wait until you hear Hal Erod’s personal life story. It’s a game changer. I love the way this book is written, there’s something about it that keeps me hooked, and I love the idea of the 12 week year. I have to be honest and tell you I haven’t implemented the whole system yet, but it’s something I’m very interested in trying for myself. The whole idea of the 12 week year is shortening your execution cycle from one year to 12 weeks, making you more efficient in getting important goals checked off. Instead of working on annual goals and plans, the 12 week year allows you to gain laser focus and get your most important tasks done efficiently and effectively. It also teaches you how to batch your time, which is something I’m working on implementing now! I just started reading this book and I’m already loving it! Lately, I’ve realized that I need to do a lot of work on my money mindset and this book is one of my first steps (along with affirmations!). He features success stories from people and families who have totally changed their lives with his money makeover and I’m so excited to dive further into it and start my own! It took me a while to get into this book, but now I get get my nose out of it. Angela Duckworth defines grit as a mix of passion and persistence. She explains why some talented people don’t go far at all, while other, less “talented” individuals end up achieving amazing things. I love that the book is relatable and that she gives lots of real-world examples. 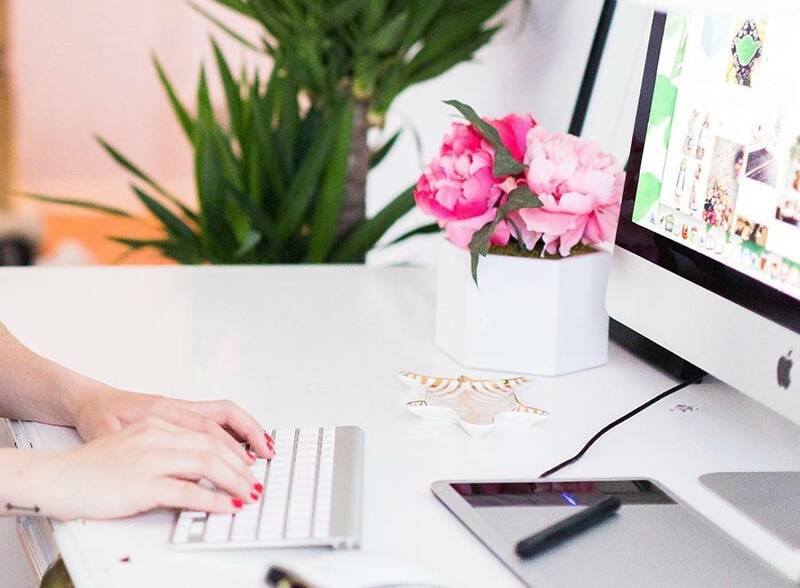 It’s motivating me to follow, work on and be persistent with my passion (one of my biggest ones is this blog!!). I haven’t read this book yet, but I’ve heard SO many good things about it from my best friend Tracey. An overview of the book states that it teaches you how to build influence and lead others without having a title or authority. 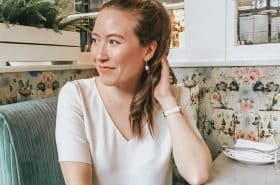 She explains that it’s essential to foster and encourage the diverse strengths and gifts of every member of a team, and offers a formula for success and a genuine approach to leadership. Sounds awesome, right? I can’t wait to dig in! I love this book because I’m a classic over-thinker. I sometimes care too much and give too many f*cks about things I that don’t deserve my time or energy. This book helps teach you how to let it go and focus on more important things going on in your life. It’s something that isn’t always easy to do, so it’s nice to have a guide! Do you have any books you would add to this list? Let me know in the comment section because I’m always looking for my next read! And if you loved this post, please make sure to share the image below on Pinterest! Total money has been on my shelf for almost a year and I should read it soon. I will add a couple of these to the list.Thanks for sharing! So, number 7 has been my favorite book for the longest time! That book turned my life around like crazy. But recently I discovered a new favorite book of mine: The Go Giver. It’s AMAZZZZING! I definitely recommend you read it. Oooh, I will have to check out The Go Giver!! Thanks for the recco! Omg yes! Totally agree, reading it right now and LOVING it!! !